Walt Disney is to be blamed for everything! 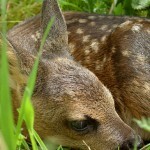 – For the Bambi-mentality and the fact, that the average German doesn’t know the difference between a stag and a roe. Nobody could know even scarcely that “Bambi” would trigger a culturally revolution when, after seven years of work, the animated cartoon got into cinema. Flopping initially totally, the producer was left with the costs. It took a few years, until it turned out that, with Bambi, he has created his “magnum opus”. The story wasn’t even Disney’s own fiction but he bought the rights from the Austrian writer and passionate hunter Felix Salten, who, in 1923, published a novel in which a small fawn called Bambi, was the central character. This novel was so successful, that a few years later, it was translated into English for the American book market. Since there are no more roes in the New World, this young roebuck became a white-tailed-deer. 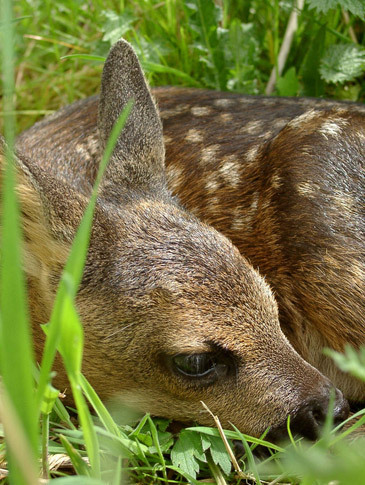 In the German dubbed version of the full-length cartoon feature which was kind of re-imported in the 1950s, the young stag Bambi changed into a fawn again; nevertheless his father stayed a white-tailed-deer. Ever after, confusion is perfect and many Germans believe that a roe is the stag’s wife. Well, let me straighten this out once and for all: The wife of a stag – who can reach the height of a horse – is called a hind. Female roes – which only reach the height of a dog – are called doe!